There are two main reasons why people want to increase their endurance. The first group of people want to increase their endurance in order in exercise for longer amounts of time. This can include both cardio and strength exercises. Runners may want to run farther without becoming extremely fatigued. Others want to make the most out of every gym visit. The second group of people include those who have already built up their time endurance. It is a workout of speed and intensity that they are looking for. People use similar strategies to achieve their endurance goals. Endurance must be built slowly. Especially for runners, there is a danger of over training and subsequently suffering an injury. Adding too many miles too quickly can delay fitness goals. Luckily, with consistent exercising and sticking to a strict schedule, a person may reap many benefits and reach their endurance goals. Tactics used by professionals to help their clients build endurance include: Stretching Increasing mileage / length of workout Cross-training Alternating running / walking/exercising at a gradual and safe rate/allowing your body time to recoup and rebuild. The many health benefits of these exercises and discipline will not only improve your ability to perform longer workouts, but they can also increase overall physical health, heighten mental focus, and relieve stress and tension. Endurance can also be affected by a diet. There is a reason runners stock up on carbohydrates the day before a race. Sugar provides immediate energy, protein helps build muscle, and other vitamins keep the immune system strong and the mind focused. A combination of a healthy nutrition plan and endurance building exercises will greatly increase the chances of meeting health goals. 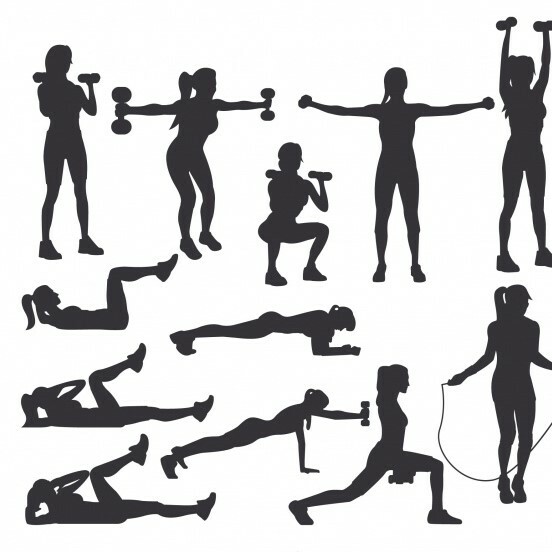 This website will provide any beginner or intermediate exercise enthusiastic with a good basic knowledge of how to get started in exercising, and how to turn it into a lifestyle. Finding ways to work out on a budget can be difficult. With expensive exercise equipment, the rising cost of gym memberships, and over-priced personal trainers just makes sense to get back to the basics of physical fitness. All you need is your own body and a few minutes to use, and you can be on your way to a more lean, athletic physique in no time. When I say get back to the basics, I mean the chin-ups (in their many forms), dips, and pull-ups can really do wonders for the upper body. Unlike machines, using your own body weight forces you to exert more effort to control and balance your movement making your overall workout much more effective. If you want to work on your legs, perform lunges, squats, and short sprints; these movements will set your legs on fire. Although you may need to add some weight to yourself for lunges and squats, you still don’t need to buy any equipment or go to the gym to do it. Be creative. Try using cinder blocks, a bag of cement or dog food, fill a backpack with sand, just use your imagination to find the weight that you need. If you want to burn fat, do some basic cardio. Run, jog, do some jumping jacks, get old school. Instead of typical sit-ups or crunches, try hanging from a pull-up bar and lift/bend your legs up to your chest curling up as much as possible. It’s much less stressful on your back and neck than sit-ups or crunches, and you will see results much faster. I’m not saying that you should avoid exercise equipment or gyms all-together…I’m just trying to convey the idea that you can save some money and still get into great physical shape. Machines are excellent tools for getting into shape and building lean muscle too, but sometimes living within your means may mean working out with only what you’ve got; your body.